During my 8-month internship in the Art Department at Atlantic Records I had opportunities to work on projects for many of the label's artists and internal programs. I enjoyed using illustration and typography inventively to enhance the voice of each project. Single cover design for Oh Honey's "Be Okay"
Single cover design for Walden's "Brightness Sessions"
Single cover design for Kirko Bangz's "Rich"
Gold plaque design and evite design for Cash Cash's "Take Me Home"
I worked with six interns from different departments to create a marketing plan promoting Kevin Gates, for which I designed all of the graphics and presentations. 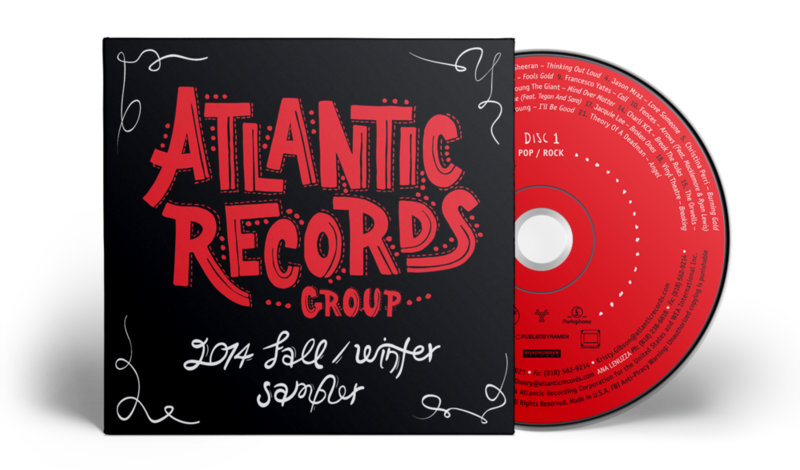 My team was selected as a winner by Julie Greenwald, President of Atlantic Records. (The prize was tickets to Alt-J, which was amazing!) View our entire marketing plan here.